it's spring break for all my friends this week, so i can't wait to hang out with them. we're supposed to go to griffith park and have a little barbeque (and maybe a water balloon fight), so i'm looking forward to it. the weather is perfect! Rules: Post on blog | Link to the other bloggers within your post. | Let them know you have shared this award with them by commenting on their blogs. 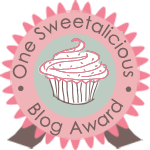 | Share the Love by linking to the person from whom you received this Sweetalicious Blog Award. | HAVE FUN and ENJOY YOUR SWEETALICIOUS DAY! 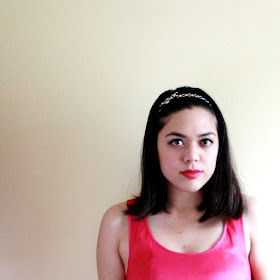 i would like to pass this on to valencia, ebony, nina & belen-- four of the sweetest bloggers i know!